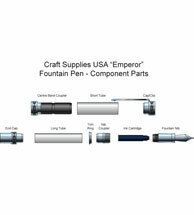 In this month's article, we'll turn a very elegant fountain pen from Craft Supplies USA, known as the Emperor pen. 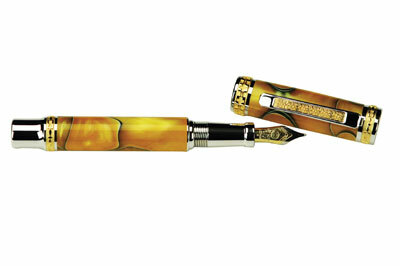 This hand cast fountain pen features a brilliant rhodium plated finish, accented with 22k gold in four areas: the cap, the clip and two circular accent rings. 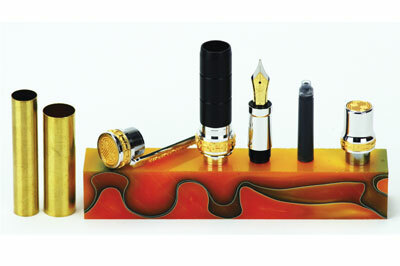 This stunning pen kit receives exceptional care and attention to detail during every step of production. 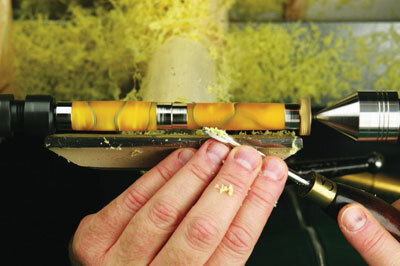 Once assembled, the components are hand polished and undergo a final inspection to ensure an exceptional fit and flawless finish. 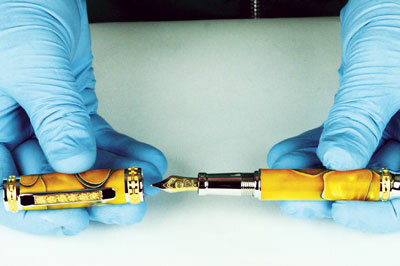 Although the project pen is a fountain pen, this Emperor pen is also available in a rollerball style, with a premium rollerball cartridge in rhodium and 22k gold. 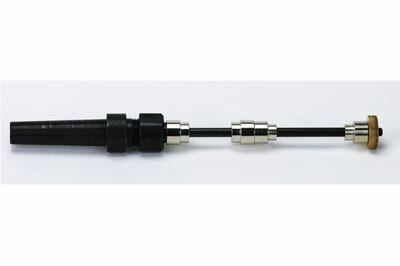 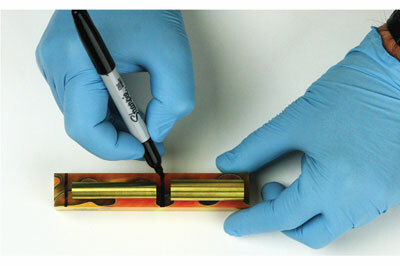 The completed Emperor pen measures 16.5mm (21/32in) in diameter x 143mm (5 5/8in) long and requires a minimum rough blank size of 22 x 22 x 125mm (7/8 x 7/8 x 5in) long. 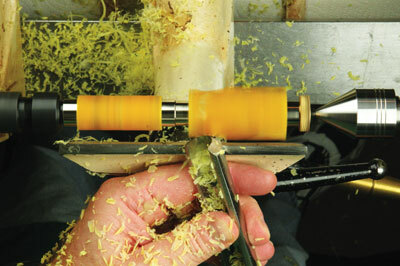 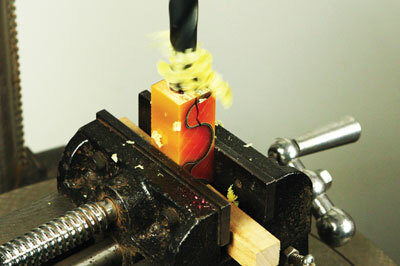 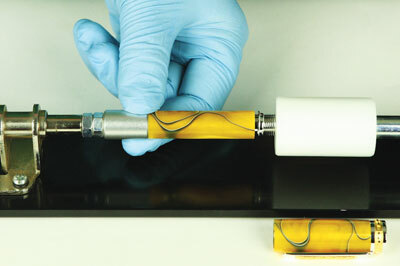 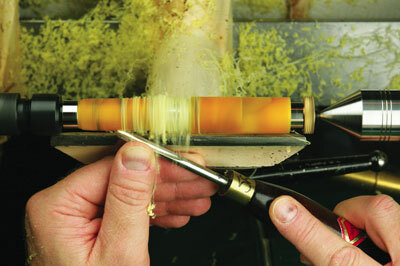 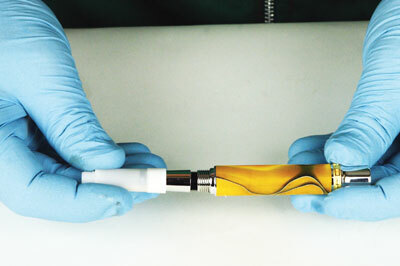 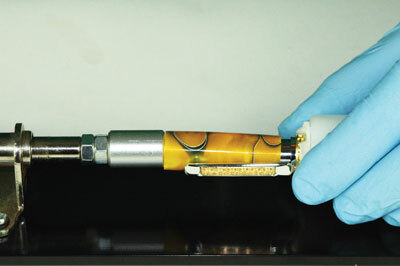 The project pen barrels feature an amber and gold celluloid, polished to 12,000 grit. 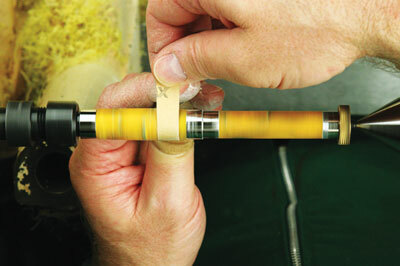 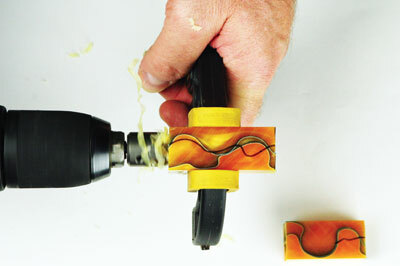 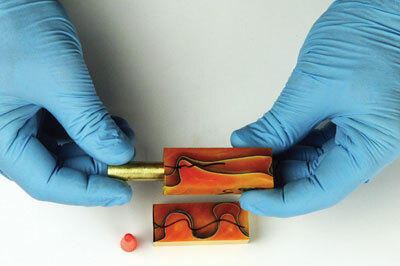 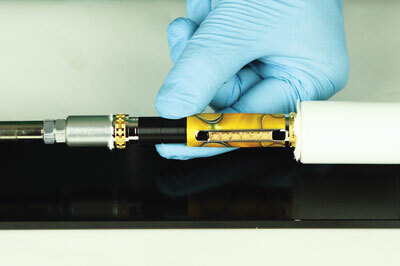 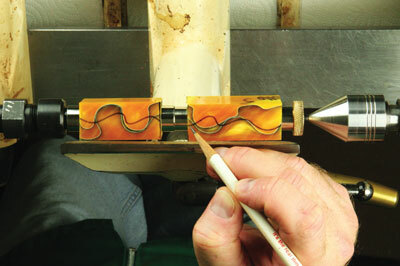 Here's how to turn your own elegant Emperor fountain pen, step-by-step. 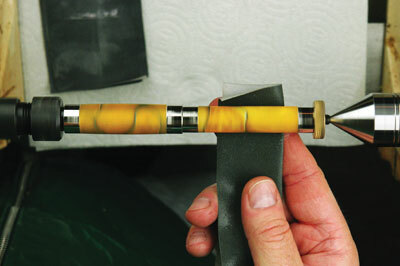 3 The fountain pen nib assembly should be removed and disassembled for cleaning at least once every month, or anytime the tip becomes clogged. 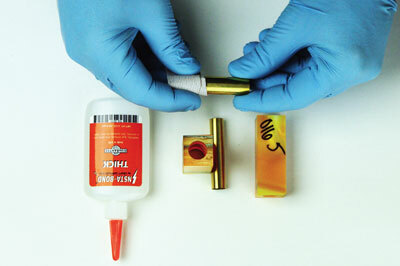 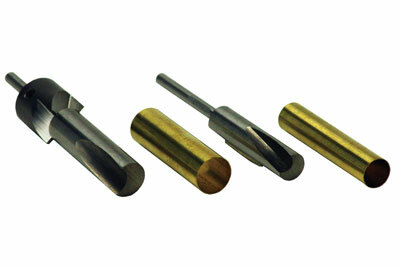 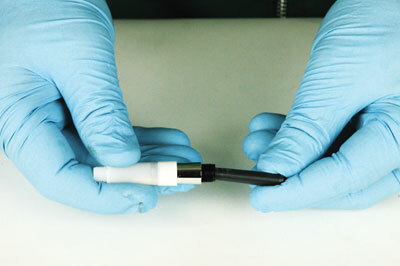 Once the nib is disassembled, flush the parts with slightly warm distilled water (never use hot water or solvents). 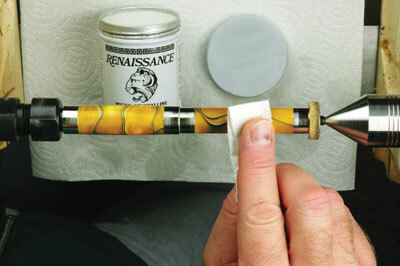 A small brush can be used to clean the nib ribs. 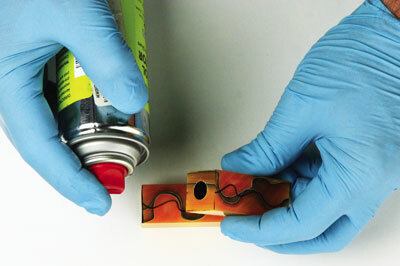 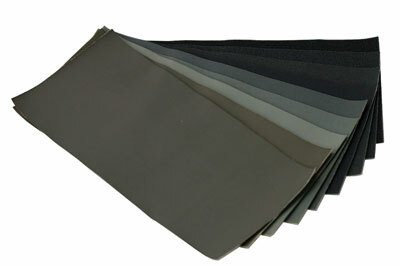 Allow to air dry fully before reassembly. 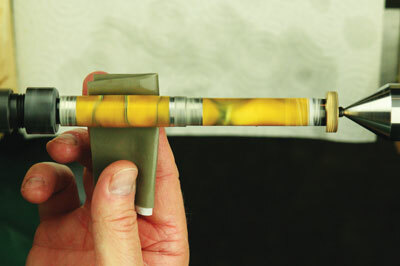 So, ensure to check your fountain pen nib at least once a month!